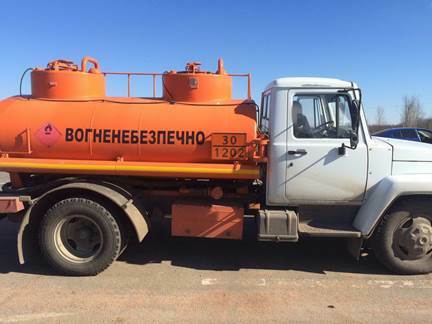 Security Service of Ukraine together with fiscal service and border guards stopped fuel truck with 5 000 liters of fuel near Hranitne village in Donetsk Region. The cargo costs about 100 thousand UAH. 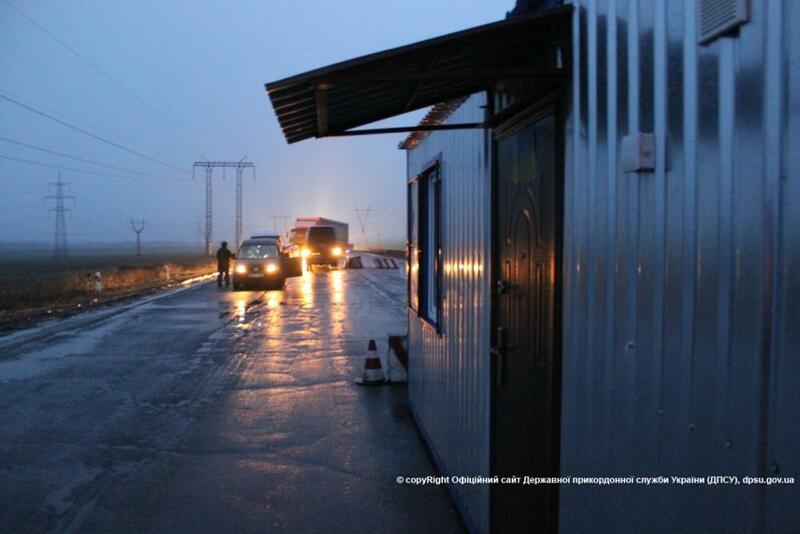 Smugglers were trying to transport the truck to temporarily occupied territory. Police detained a driver of a vehicle who was trying to transport 2 tons of clothes and shoes worth about 300 thousand UAH to the territory controlled by terrorists violating the rules of cargo transportation through the contact line. In the same area Security Service of Ukraine, fiscal service and border guards detained medical cargo that had no documents. There were glasses, lenses, ophthalmic knives and so on worth about 100 thousand UAH. 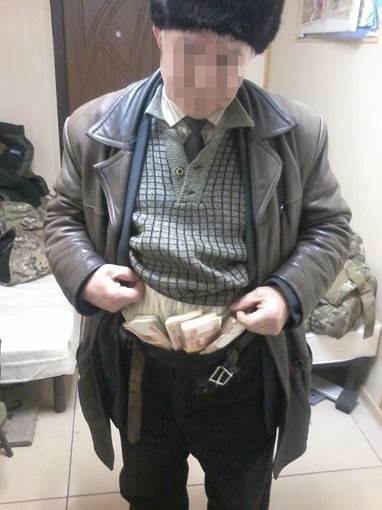 At “Novotroitske” checkpoint police detained 2 men who were trying to bring 4.5 mln RUB in cash and a lot of bank cards to so-called “Lugansk People’s Republic”. They were trying to hide money and cards in underwear. 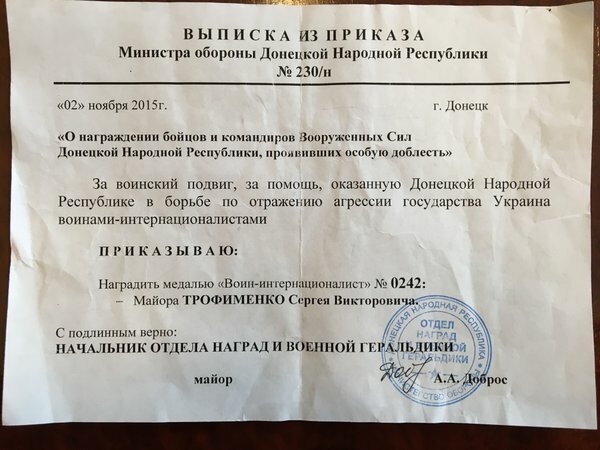 Security Service of Ukraine released new evidence that proves involvement of Russian officers of Joint Centre for Control and Coordination (JCCC) in training militant’s of so-called Donetsk People’s Republics. Russian officers were going in and out of occupied territory of Donbass as members of a group that monitors cease-fire violations in the area and helps to stop fire from both sides of the conflict. 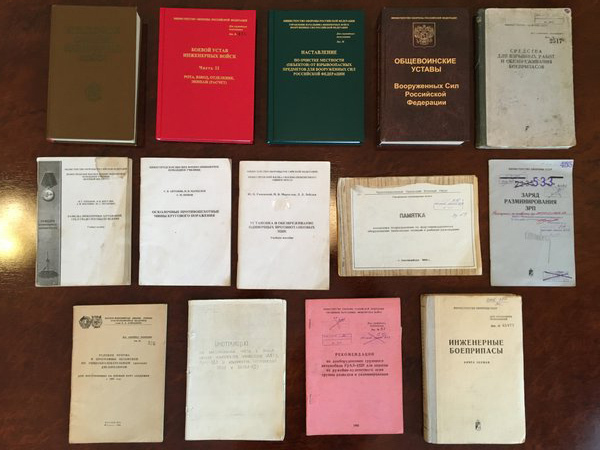 Border control found books with military instructions on various subjects, DPR insignia of different pro-Russian militants units and medals given to Russian offices by DPR for their “fight against Ukrainian aggression”. 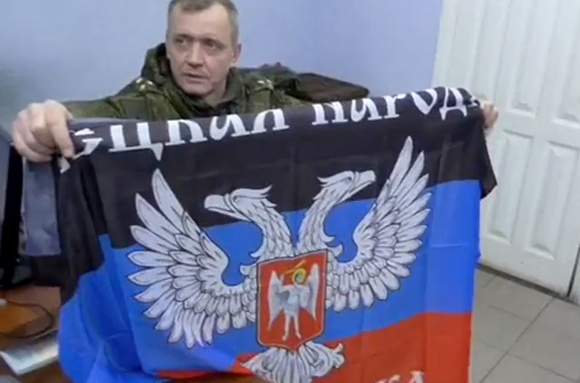 Russian officer Andrey Akimov had different patronymic name that didn’t match his ID. Captain Sergey Kutsenko was not in the lists and border guards made a decision to send both back to Russian Federation. 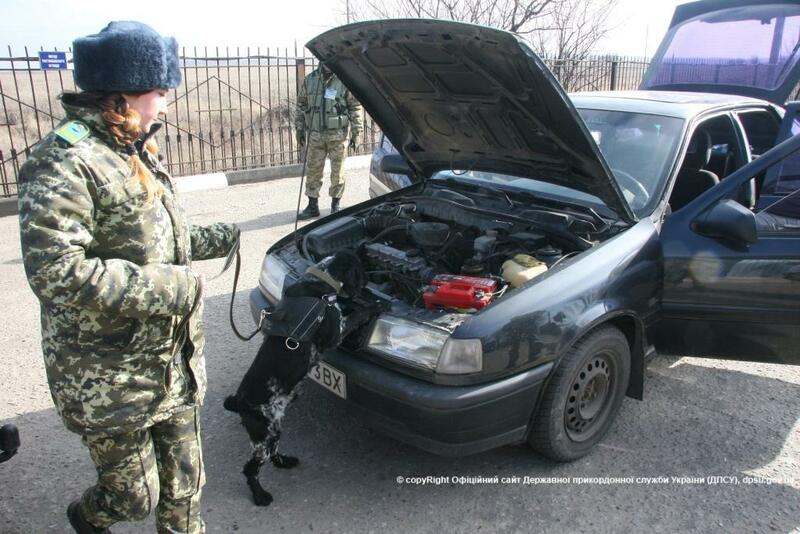 On February 2 2016 border guards at “Hoptivka” border control checkpoint in Kharkiv Region looked through the luggage of Russian officers and found materials that confirm that they provide support for members of terrorist organizations of DPR and LPR. 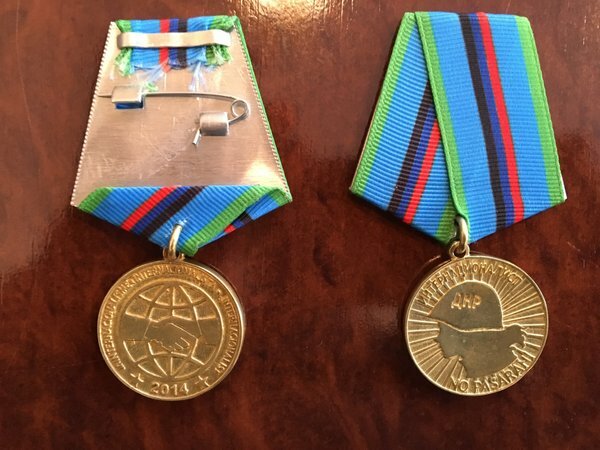 Lieutenant colonel Elizar Popov, major Sergey Trofimenko and Yuriy Frolov had original certificates issued by so-called Minister of Defense of DPR that confirmed they got medals, certificates said “Given to internationalist soldiers and commanders of Armed Forces of Donetsk People’s Republic who are rewarded for special courage, feat of arms and for support provided to Donetsk People’s Republic in a fight to stop aggression of Ukraine”. The text on the medal says “Internationalist soldier”. notebook with notes describing ways to obtain intelligence information on the ground and numerous handwritten notes with signs of cryptography. The head of Security Service of Ukraine said that those materials are directly related to military operations on occupied territories of Ukraine. 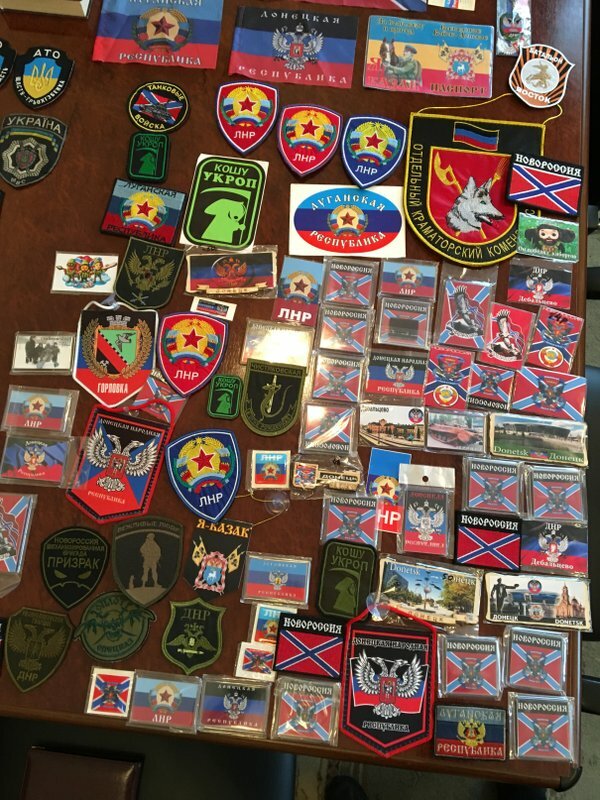 Russians also had different military insignia, flags of illegal armed groups of DPR and LPR and souvenirs that promotes terrorist groups and so-called “Novorossiya”. Security Service of Ukraine also posted video of Russian officer from JCCC who was stopped by Ukrainian border guards. 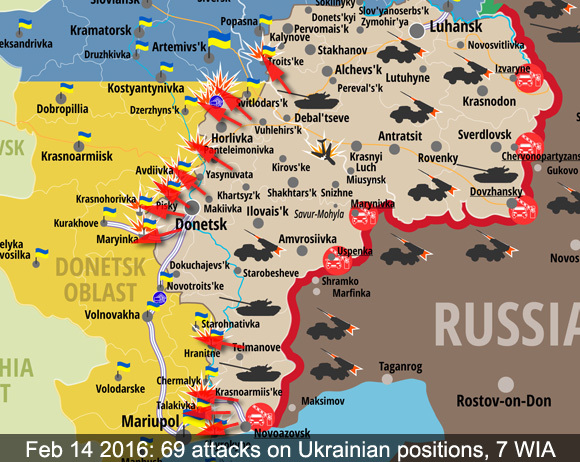 Pro-Russian militants continue to violate cease-fire agreement and there are more and more attacks on Ukrainian Army positions everyday! Today the number of violations got to the highest number since the end of August 2015. Just in the last 24 hours pro-Russian militants shelled Ukrainian fortifications 84 times, they also used weapon which was banned by Minsk protocol! In one day of Russian-style “truce” 11 Ukrainian soldiers were wounded. The situation in ATO zone in the last 24 hours remains tense. Illegal armed groups of so-called Donetsk People’s Republic (DPR) shelled Ukrainian positions near Donetsk and Mariupol. The enemy attacked our positions near Krasnohorivka 14 times using grenade launchers, small firearms and 82 mm mortars. Ukrainian fortification in Luhanske, Mariinka, Pisky, Opytne, Novhorodske, Troitske and Shyrokyne were shelled with the use of different types of grenade launchers. Besides that the enemy used anti-aircraft guns attacking Opytne and weapon of APC attacking Novhorodske. Our positions in Talakivka, Hnutove, Adviivka, Zaitseve, Mayorsk and Butivka coal mine were shelled by 82 and 120 mm mortars. 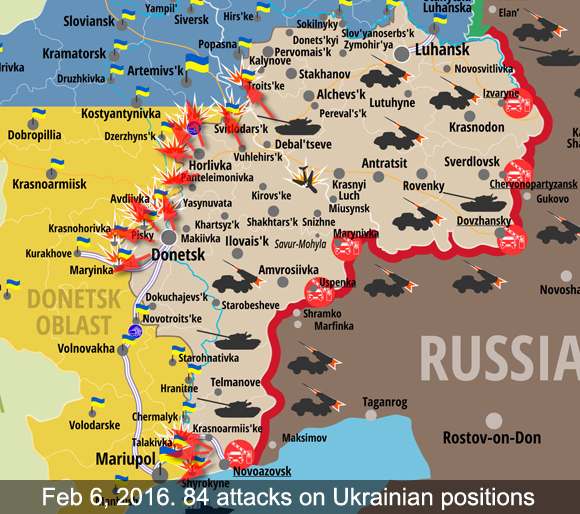 In total in the last 24 hours pro-Russian militants violated cease-fire 84 times. 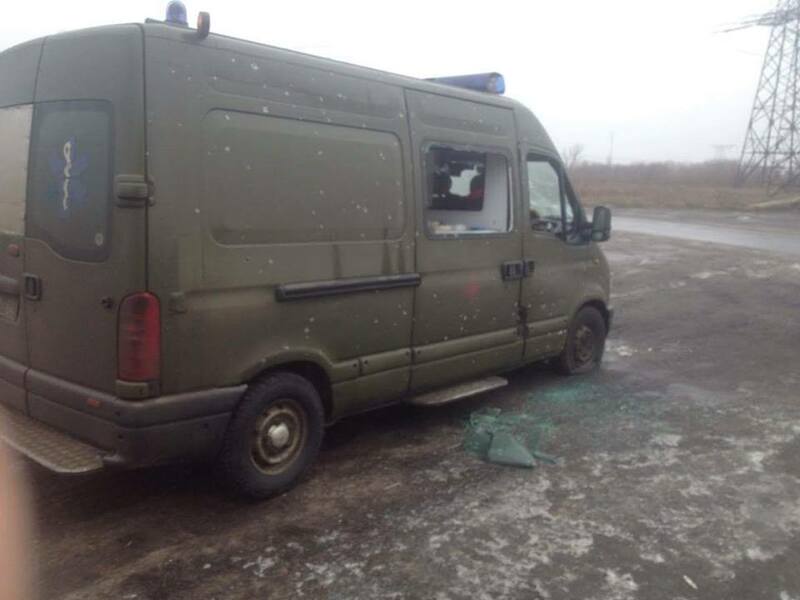 In some cases our soldiers had to return fire using weapon allowed by Minsk Agreements. 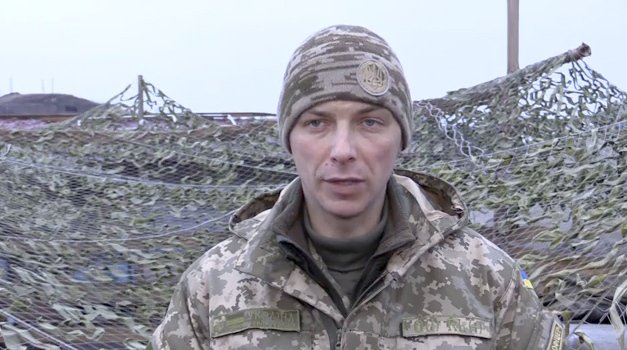 Spokesman of National Security and Defense Council of Ukraine Andriy Lysenko has reported that 11 Ukrainian soldiers were wounded in the last 24 hours, no Ukrainian soldier was killed. See report here. At the same time there were no cease-fire violations registered in Lugansk Region. 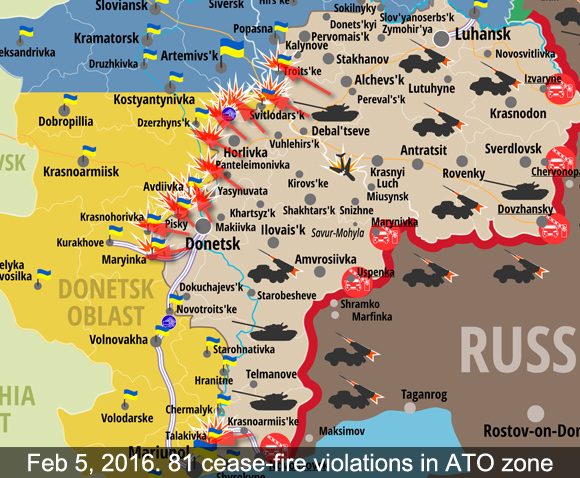 ATO Press Center reports about further escalations of the conflict in the East of Ukraine. Pro-Russian militants attacked Ukrainian positions 81 times in the last 24 hours despite cease-fire agreement singed in Minsk. That’s the highest number of cease-fire violations registered since the beginning of 2016. 120 mm mortars banned by Minsk Protocol were also used. Ukraine lost 1 KIA and 3 WIA. 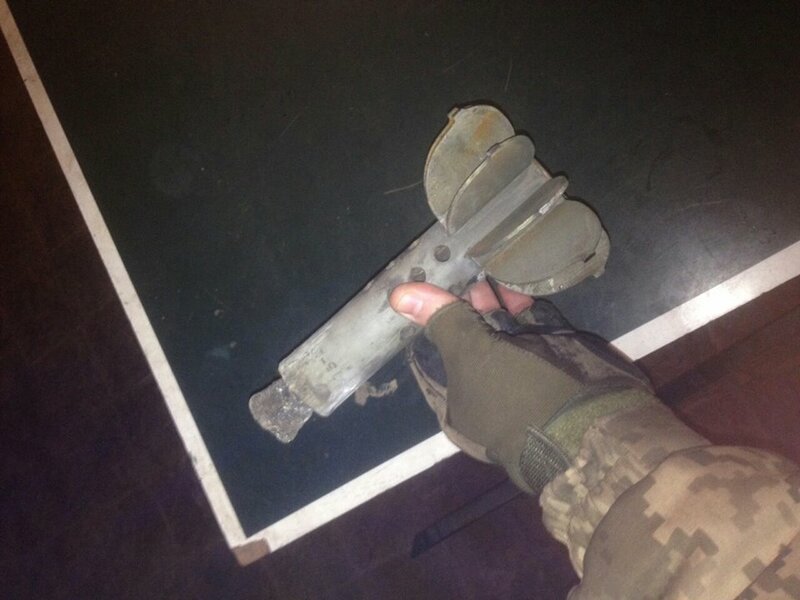 In the last 24 hours pro-Russian gangs continued to shell positions of Ukrainian Army using different type of weapon. Near Donetsk the enemy used grenade launchers, high caliber machine guns and small firearms attacking our fortifications in Mariinka, Avdiivka, Pisky, Opytne and Butivka coal mine. Krasnohorivka was attacked by mortars. Near Svitlodarsk our positions in Luhanske were attacked with the use of high caliber machine guns. Near Horlivka Ukrainian positions in Troitske and Verhnyotoretske were attacked with a use of small firearms and grenade launchers. Our fortifications in Zaitseve and Mayorks were under intensive mortar fire of 82 and 120 mm caliber, grenade launcher and small firearms were also used. 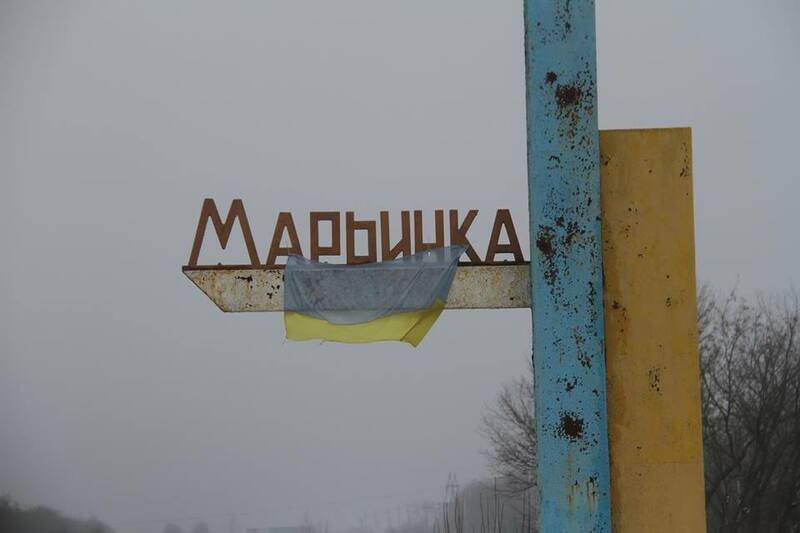 Ukrainian positions in Talakivka near Mariupol were also attacked with the use of mortars. In total the enemy attacked positions of ATO forces 81 times in the last 24 hours. 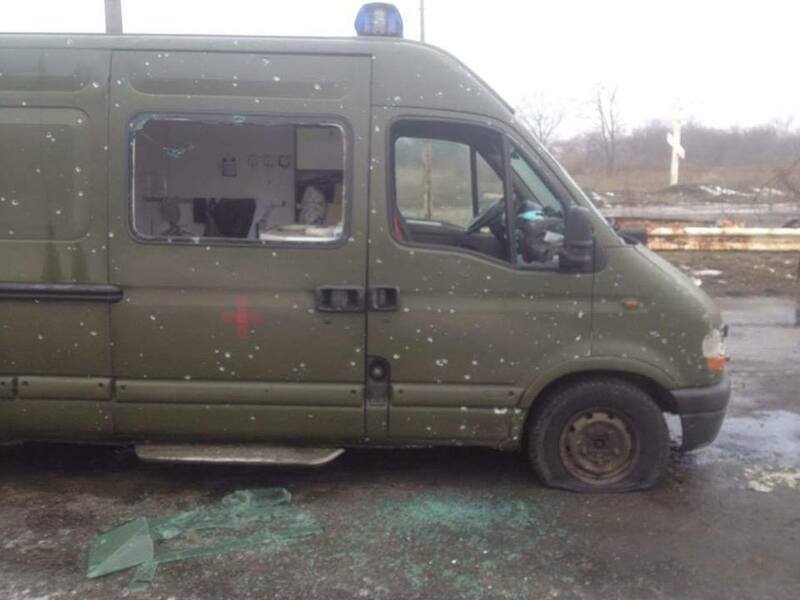 Yesterday pro-Russian militants shelled Ukrainian ambulance using mortars when medics arrived to a checkpoint near Mayorsk to pick up wounded soldiers. During the attack the vehicle was damaged and one of the doctors was seriously wounded. The message about attack on ambulance was posted by Ukrainian volunteers who provide medical support in the zone of anti-terrorist operation in the East of Ukraine, see here. That’s non-government organizations “Sister of Mercy” based in Kharkiv. Our volunteer ambulance was evacuating seriously wounded boys today. 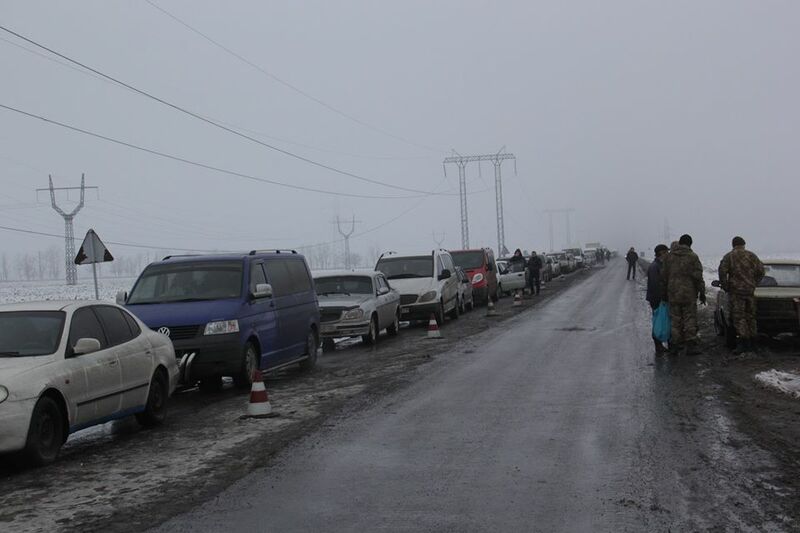 We came to pick them up to the checkpoint in Mayorsk and… the checkpoint got under heavy mortar fire. The vehicle was got damaged badly, no glass, the radiator destroyed, no wheels. The doctor “Pechenka” was seriously wounded by a shrapnel in the shoulder, now she is in the hospital in Artemivsk. Despite the wound she was helping other soldiers. 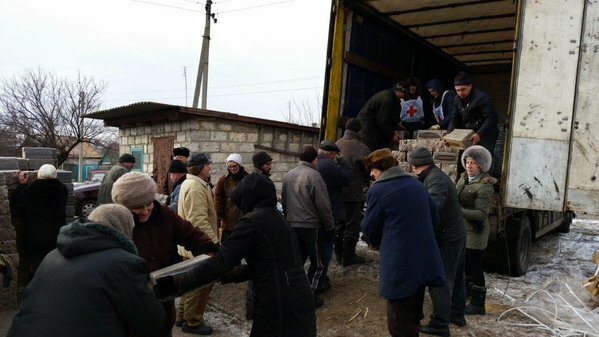 All wounded are in Artemivsk now. They will be taken to Kharkiv. ATO Press Center report about increase of attacks on Ukrainian checkpoints located on the contact line. They confirmed mortar attack on Mayorks checkpoint that happened at night in their report also, see here. So the ambulance arrived to evacuate those who were wounded in that attack. On January 30 2016 at 22:20 militants attacked Ukrainian checkpoint using mortars, the checkpoint is located close to “Mayorsk” checkpoint used by civilians crossing the contact line. According to the information we have members of “DPR” terrorist organization are planing similar provocations near Artemivsk.